Enter to win a Lodge Pre-Seasoned Sportsman’s Charcoal Grill! 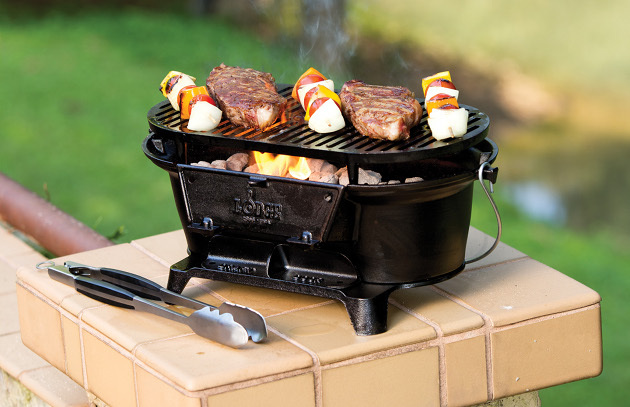 This rugged hibachi-style grill is perfect for picnics, tailgating, and car camping. The draft door regulates heat and the coals are accessible behind a flip-down door. The cast iron grill grate provides superior heat retention. THIS GIVEAWAY HAS ENDED. Congrats to the winner, Carey Parsons!